Alaska Airlines today announced a limited time airfare sale on one-way flights between four Hawaiian Islands and multiple US Mainland west coast and Alaska cities the carrier serves, for as low as $159. The discounted deals include direct flights to Kailua-Kona on the Big Island, Honolulu on Oahu, Kahului on Maui and Lihue on Kauai. Tickets must be purchased by Wednesday, March 9, 2011. As you might expect, seats and travel dates are limited. 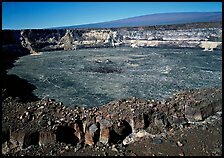 For months, as rockfalls enlarged the lava lake at the bottom of the pit in Halema'uma'u crater, a portion of the north rim refuesd to collapse, defying gravity. Late Monday morning, a part of the rim of the pit, which overhangs by 180 feet, gave way, roiling the surface of the lake and spreading a thin layer of ejecta as far as the Jaggar Museum. The small explosive episodes are a reminder of the unpredictable nature of Kilauea volcano, which is engorged with increased levels of magma. The effects of this increase in the magma supply are readily apparent, from the rising lava lake in Halema'uma'u to the crater-filling effusive lava flows at the 28-year-old Pu'u 'O'o vent. At the rim of Halema'uma'u, a camera perched near the destroyed visitor overlook gave a clear look at both explosive events. 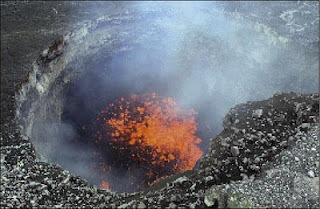 In the first of a series of events, part of the pit gave way around 8:42 a.m., falling onto the bubbling surface of the lava lake 250 feet below. Huge boulders, the size of bathrtubs or larger, hit the surface and disintegrated into a cloud of rock ash, which then rose high into the air as a dusty brown plume. About five or six of these events were recorded. At 11:35 a.m., a large piece of the vent wall, estimated to be about 395 feet long and up to 16 feet wide, collapsed into the lava lake. It pushed a surge of molten rock onto the far side of the lake and released trapped gases. Since Kilauea's summit vent first opened in Halema'uma'u in March 2008, the hole has increased from 115 feet in diameter to nearly 490 feet. Falling rock on Monday expanded the width of the vent another 15 to 30 feet , and several more collapses occured before dawn Tuesday, enlarging the vent further. Click here, for more pictures and sound bites. The next phase in the eruption: Magma could continue to rise within the vent, eventually spilling onto the crater floor in the coming months. It might intrude into one of Kilauea's two rift zones and erupt at a weak spot. The magma might intrude into the rift zone and not erupt. Or for some reason, the supply of the lava to Kiauea might decrease, resulting in no new activity. Over the past week, lava flows have been active on the pali and coastal plain in two distinct lobes west of Kalapana. The easternmost of the active flow lobes continues to advance slowly to the south and southeast near the end of Highway 130, with one portion creating an ocean entry. The western lobe remains active, as well, and is also feeding a small ocean entry. At Kilauea's summit, the circulating lava lake in the collapse pit deep within the floor of Halemau'uma'u Crater has been visible via webcam throughout the past week. 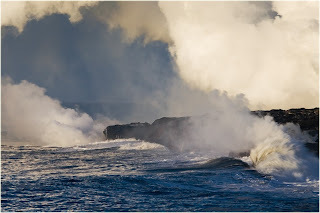 Volcanic gas emissiions remain elevated, resulting in high concentrations of sulfur dioxide downwind. No earthquakes beneath the Hawaiian Islands were reported this past week. 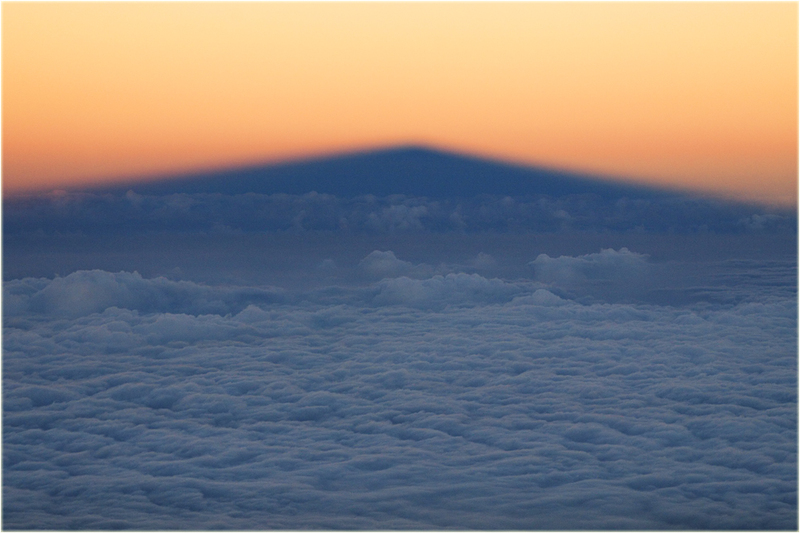 The Volcano Watch is a weekly article and activity up-date written by scientists at the U.S. Geological Survey's Hawaiian Volcano Observatory. from 8:30 a.m. to 1:00 p.m.
Volunteer Forest Restoration Project: This month we will work in the Keanakakoi Special Ecological Area removing invasive, non-native faya plants that have grown since the park cleared the area a few years ago. some faya are seedlings that pull easily; most are maturing trees that we will cut with saws. We'll also learn about the park's native forest restoration program and control of invasive plants in Special Ecological Areas. Volunteers should be at least 14 years old, and be able to hike at least one mile over uneven terrain and through some areas of dense brush. Our goal is a crew of 16 people, and pre-registration is required. To register, contact Friends of Hawaii Volcanoes National Park at (808) 985-7373 or forest@fhvnp.org. For more info visit www.fhvnp.org. from 12:00 a.m. to 2:00 p.m.
Sunday Walk In the Park: This monthly program on second Sundays is aimed at bringing together the members of the Friends of Hawaii Volcanoes National Park to share in the park's beautiful trails. Led by Nick Shema, this month's two-hour walk will start at the Mauna Ulu parking lot and proceed to the top of Mauna Ulu and back. This will be a moderate, fairly flat hike of about 2.5 miles roundtrip, mostly over pahoehoe lava at 3,200' elevation. 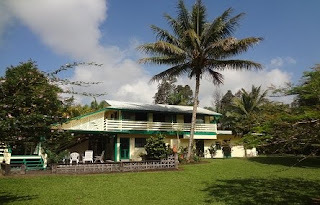 Due to the cultural sensitivity of Mauna Ulu, the size of the group will be limited to 15 people. The walk is free to Friends members (though non-members are welcome to join the Friends in order to attend). Park entrance fees apply. To register, contact Nick Shema at (808) 967-8648 or programs@fhvnp.org. For more information, visit www.fhvnp.org. Clerk: Friends of Hawaii Volcanoes National Park is accepting applications by March 11 for a part-time (10 hrs/week) clerical position. For a complete job description and application information visit our website at www.fhvnp.org or e-mail admin@fhvnp.org. No calls please.